Die Lyrics zu den Songs entstanden zwischen dem 24.Februar und dem 12.August 2017. A wonderful project from one of my favorite wikiloops musicians. 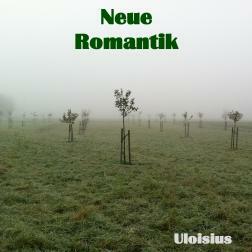 Thank you so much Ulo, for including me in this great Album, I'm delighted and grateful for this. C'est un honneur d'y être en compagnie de grands musiciens ! Merci Uloisius ! Ich habe das album mit Vergnügen gehört Ulo. Ich fühle mich geehrt dass ich ein sehr kleiner Teil davon warch. A real artist with heart and soul. Such a wonderful album, Ulo ... Great songs with a great voice .. lyrics perfect with the music.. wow .. Ulo that goes up to my mobile.. And thank you so much, that I have a place on your album! Thank you so much, Ulo, my friend for allowing me to take part in such a great album project... You have a voice that makes the world stop turning, just to listen to you. It is an honor to be here my friend Uli.